Another way to recycle! As long as the seal between the plastic and the metal is decent, this idea is so refreshingly genius I hope it catches on across the globe! 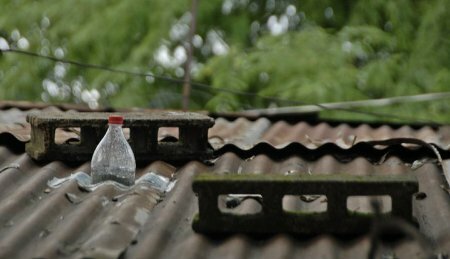 One woman claims to save about $30 a month on electricity costs with her new skylights, and in a third world country, that’s a hell of a lot of change for good!! !